Mighty Fire Breaker™ Fire Inhibitors Make Fire Treating Safer. Our Chemistry Is The Safest In The Building Industry UL GreenGuard Gold Certified. M-Fire supports all the brave firefighters that put it all on the line to save lives. 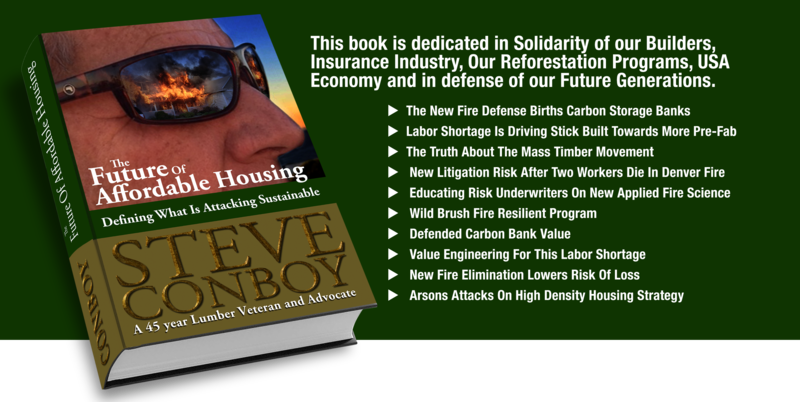 We are working hard to convince more in the building industry that we can all make wood framed buildings safer for firefighters if we become proactive and fire defend all the wood. M-Fire defends lumber, a renewable resource, from forest and wood building fires.